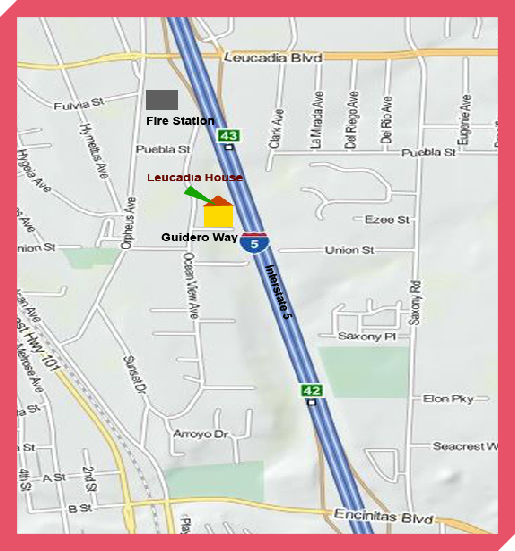 Leucadia House RCFE/Board and Care is located in the Leucadia Community of Encinitas, California, at 543 Guidero Way. We are close to modern medical facilities, parks, and cultural resources. Leucadia House enjoys a mild coastal climate, less than one mile from the Pacific Ocean.